Katy Lipson of Aria Entertainment and Joseph Houston and William Whelton of Hope Mill Theatre, Manchester have announced Hope Aria Productions’ 2019 Season. The Season will open on 2 March with the UK premiere of a new version of the Stephen Schwartz musical Rags. 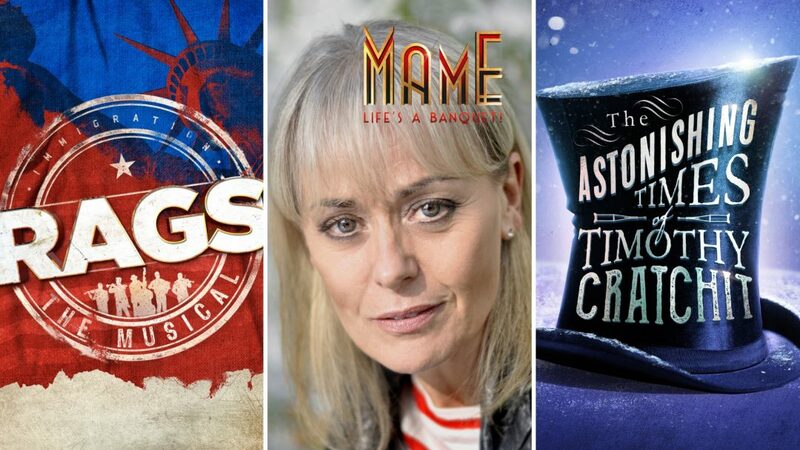 From 27 September, Tracie Bennett will star in the title role in Jerry Herman’s much loved musical Mame, and the season will be completed by a new musical, The Astonishing Times Of Timothy Cratchit, from 22 November. RAGS is a heart-warming and powerful musical with book by Joseph Stein (Fiddler on the Roof), lyrics by Stephen Schwartz (Wicked) and music by Charles Strouse (Annie). Mame, a classic 1960’s musical, with book by Jerome Lawrence and Robert E. Lee and music and lyrics by Jerry Herman, has not been seen in the UK since the original West End production in 1969 starring Ginger Rogers.